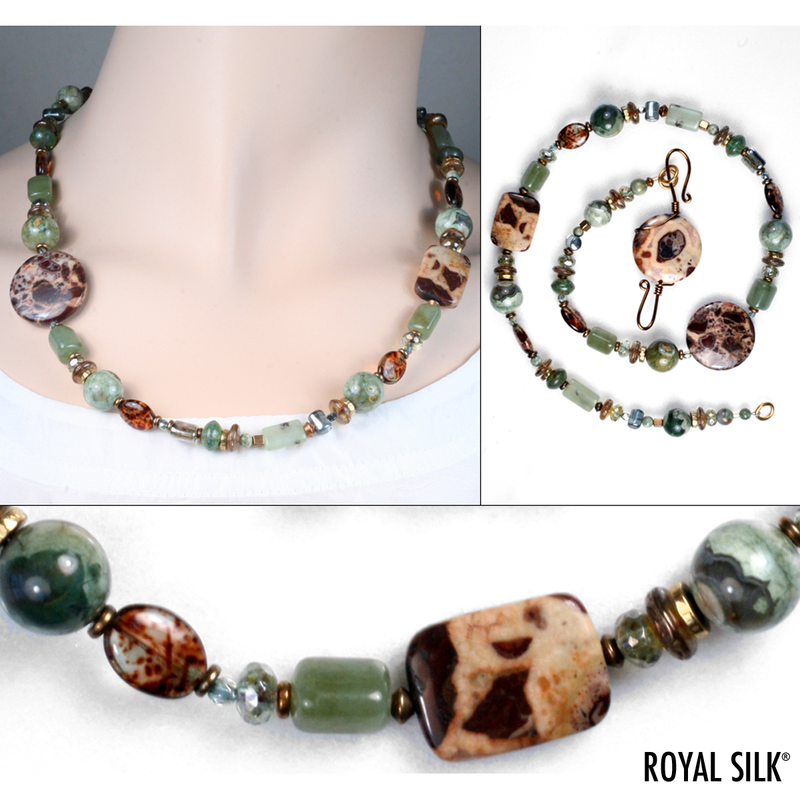 The inspiration for this original, eclectic, and timeless piece of jewelry art comes from the forest and the trees. Here you will find an imaginative mix of pleasing glass beads, soft Rhyolite, polished Conglomerate stone with specks, rounded pieces of precious jade, and brisk details of brass that will mellow with time. Unique, handmade �S� clasp closure with �captured stone� feature. Wearable art, designed and hand-fabricated in New Jersey, USA. 21�.